While everyone in Rincon was cruising round in boardies yesterday, spare a thought for our friends in Europe, who today were once again racing in wetsuits on the west coast of France. Despite a growing scene right across the continent, France is definitely still the main engine room for SUP racing Europe, being home to probably half a dozen of the region’s fastest 10 guys as well as a good chunk of the actual races. 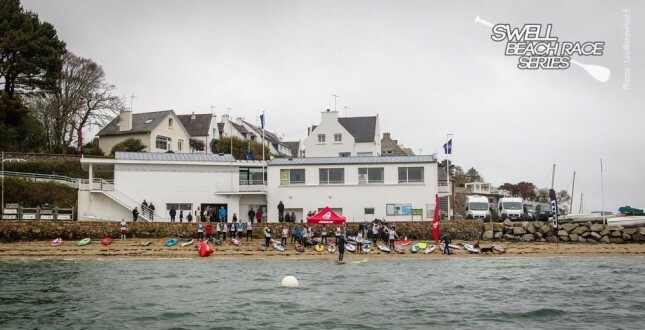 One of the regular French tours is the Swell Beach Race Series in Brittany, which, despite often being held in freezing conditions, always attracts a good mix of talented and newbie paddlers alike. I love following this particular little tour because we get to see who is in form and who has improved from one race to the next. For example today’s winner, Arthur Daniel, seems to be getting quicker and quicker and is definitely a name to watch in the future. 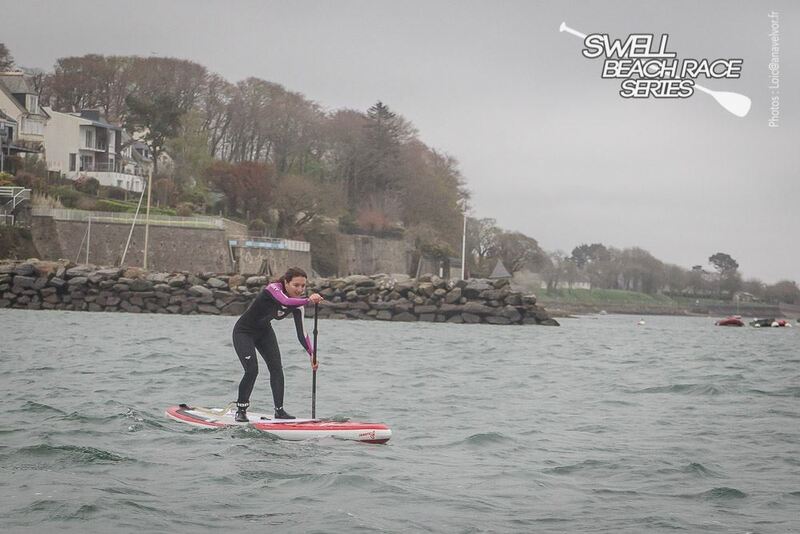 On Sunday 6th April we held the 4th stop of the Swell Beach Race Series. 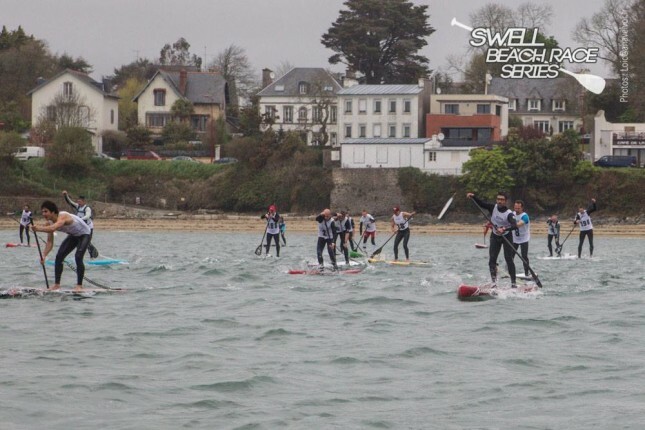 This time the technical race was in a Rade de Brest (a small beach where the river goes into the ocean), which we we were hoping would be protected from the winds that were blowing up to 30 knots in the region. 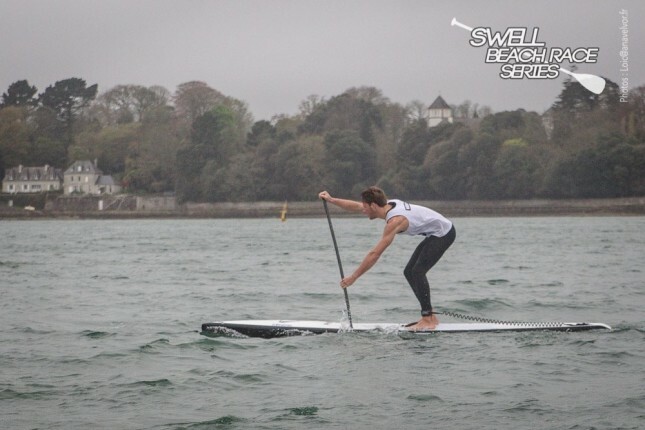 One of the rising stars of French paddling and former Swell Beach Race Series winner, Arthur Daniel, was the fastest around the technical course in a time of 0:45:27. Arthur took the lead right from start and held on all the way to the finish. Behind Arthur was a very tight battle between good friends (but fierce rivals) Yoann Cornelis and myself. Yoann just got the better of me by two seconds. Coming home 4th we had another young gun who is improving fast, Martin Letouneur (who won the junior division). In the women’s it was Faustine Merret (former Olympic windsurfing gold medalist) took the victory over Solange Pruvost and Karine Dormet. 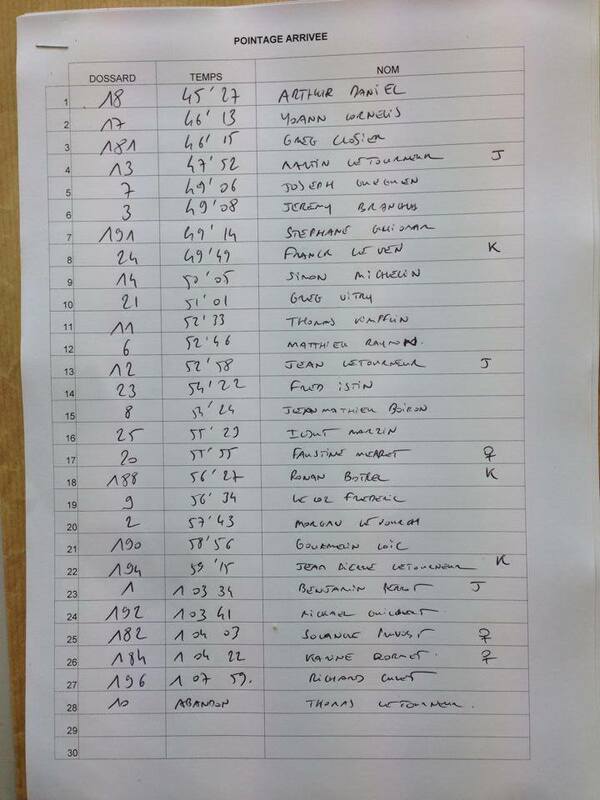 Full results and highlights below, while there are plenty more pics up on Facebook.